Examples, solutions, videos, worksheets, stories and songs to help Grade 5 students learn how to convert percents to decimals. 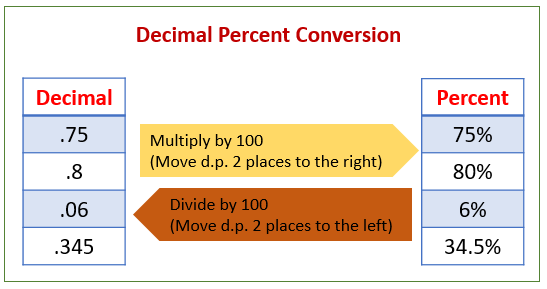 The following examples show how to convert from percents to decimals. Scroll down the page for more examples and solutions. How to convert a percent into a decimal without the use of a calculator? How to convert Percents to Decimals? Consumer Math - How to Convert a Percent to Decimal? This video shows some examples on how to convert a percent into a decimal.